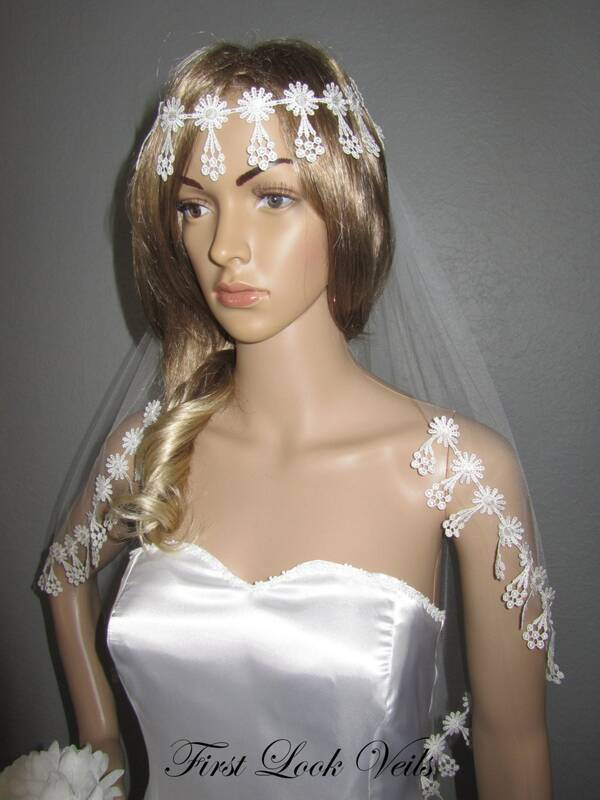 Chic Bohemian Style Wedding Vale. 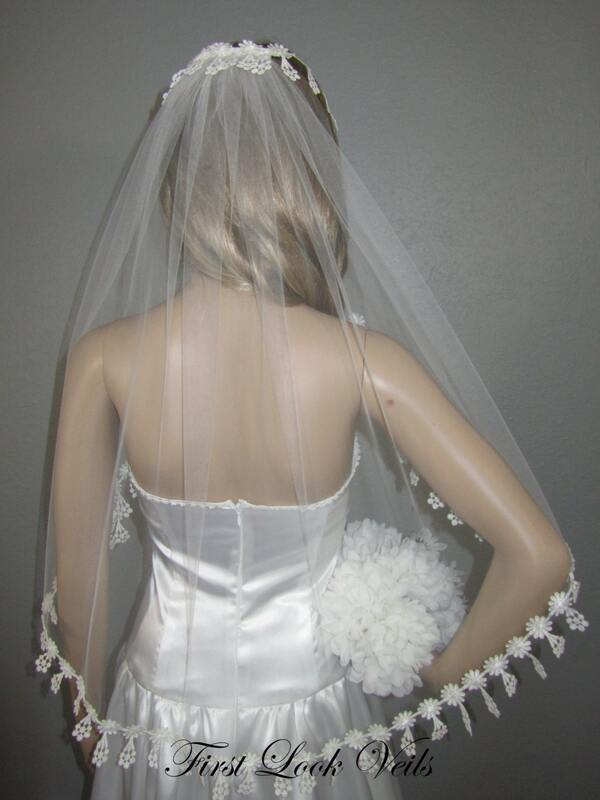 White, Waist Length Veil constructed of Bridal Illusion tulle edged with floral lace. 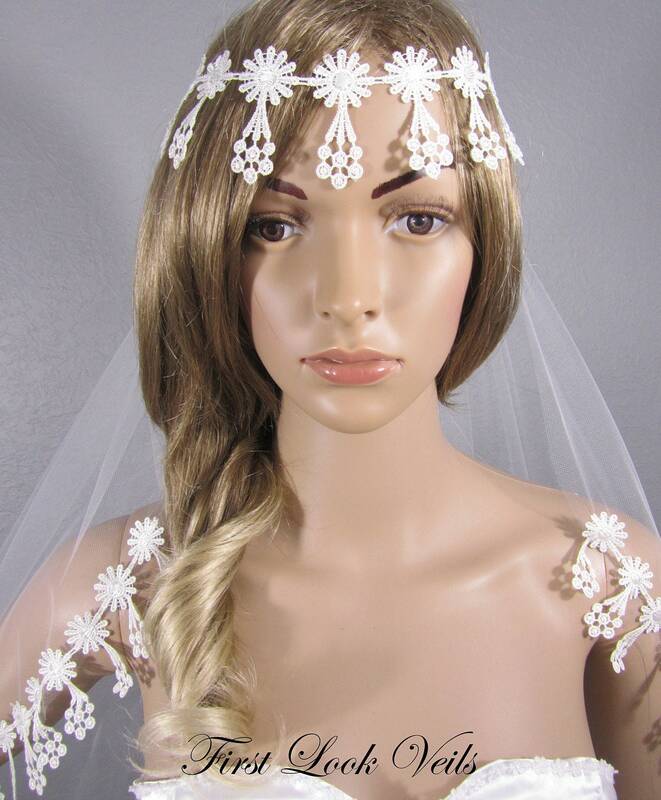 The attached headpiece gently wraps around the bride's hair style, across her forehead and snaps in the back. 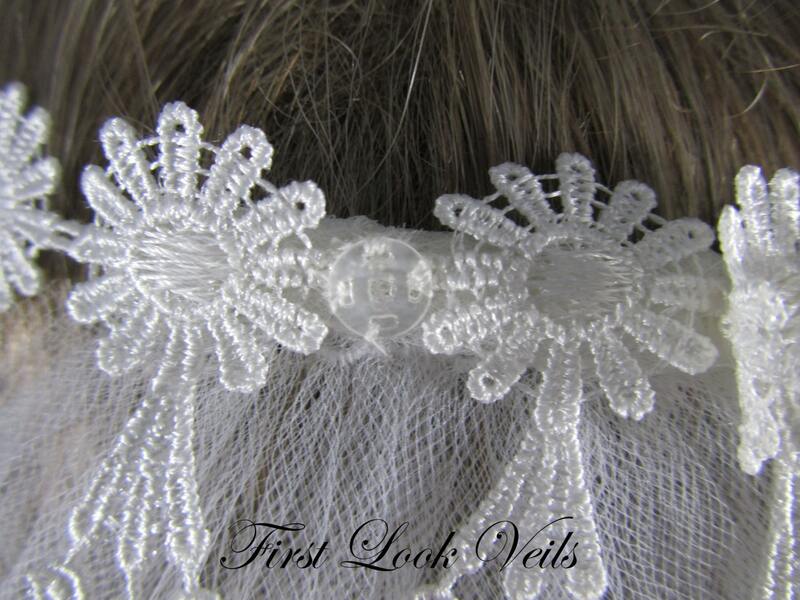 It is adjustable with clear snaps spaced across the lace. 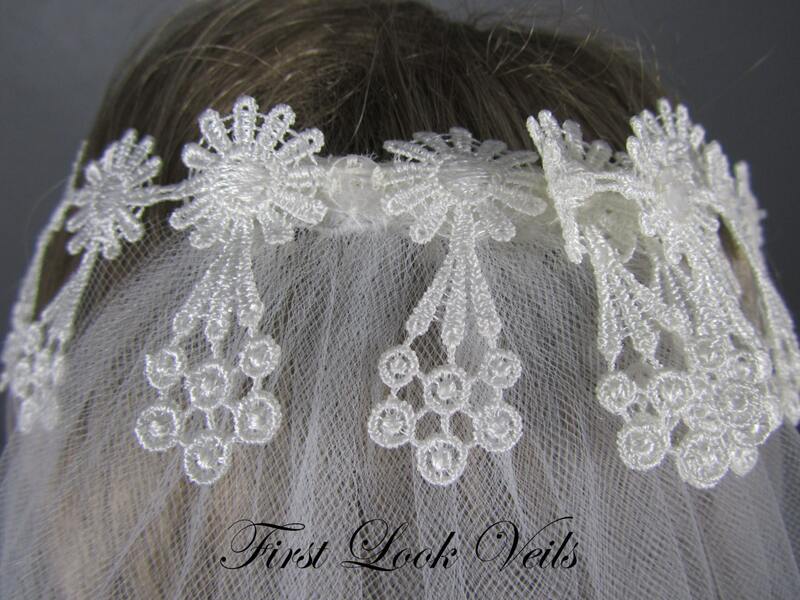 Another unique design by First Look Veils! Please convo us with any questions. Made in our Smoke Free studio. 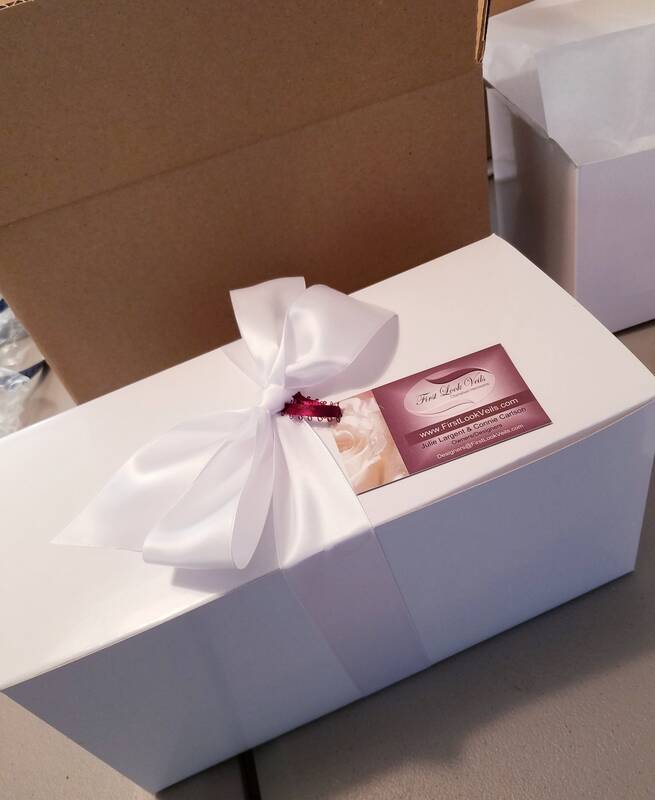 Please check out our shop policies and shipping information. Thanks for visiting our Etsy shop!